This is just a quick update to the last post and shows the area of Dunedin I will be starting with. As it is easier to divide things into sections, this part I am calling "City" and it will cover the area between Ravensbourne and Kensington (exclusive). 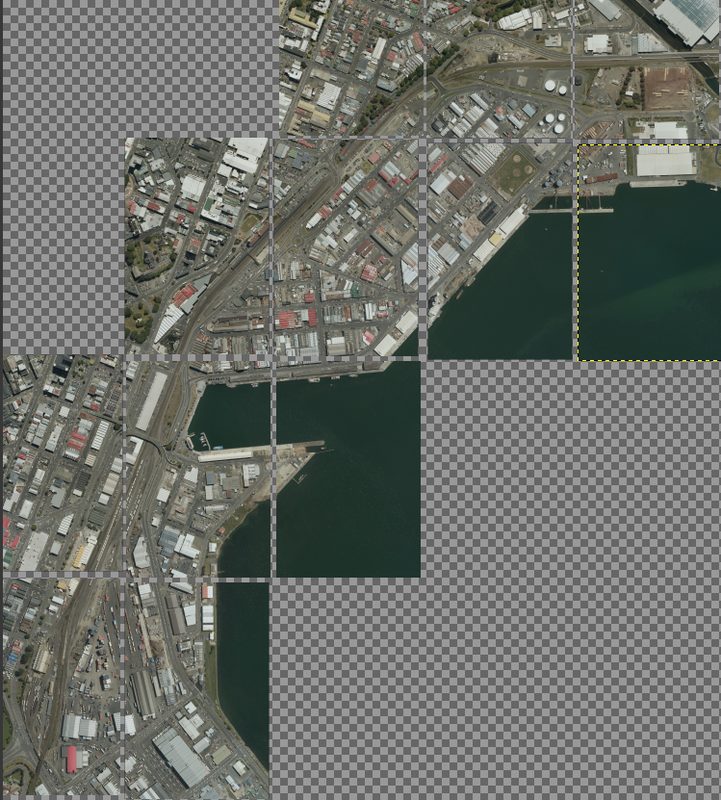 This shows the rough layout in Gimp (I still have to snap and align the images at the edges) whereby we are using 12 of Linz's aerial tiles to do the overlay and masking of the aerial images. This means there will be 12 custom tiles to load into Qgis to do the mapping off. As such there is quite a lot of work needed to pull in and align all the aerial images so this will take a few days to complete, prior to starting the actual mapping.